Imagine a queen size bed with fine Egyptian linen sheets. Now, imagine a butler handing you a glass of sparkling wine. And now, remove the ceiling and the walls of your imaginary hotel suite. Et voilà: You're staying the night at the Zero Star Hotel. We have previously reported on the Riklin twins, two performance artist brothers who had converted a nuclear fallout shelter into the world's first Zero Star Hotel in 2009. 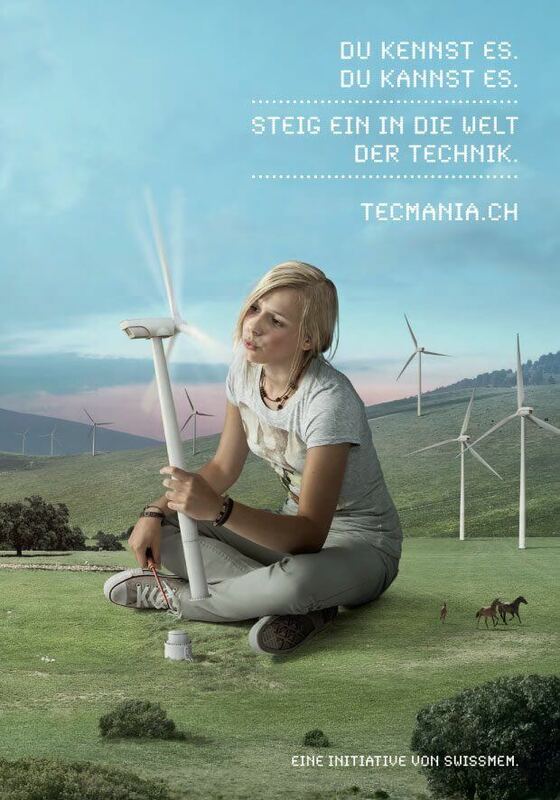 Well, they are back with another installation in the picturesque Appenzell region. 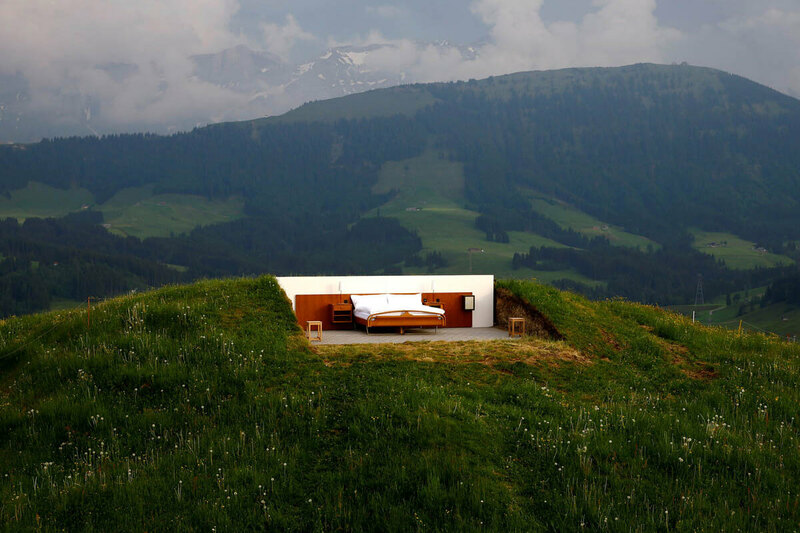 This is the great outdoors, so guests can expect unobstructed 360 degree views of the impressive Alpstein region. Oh, and there might be some occasional wildlife nibbling on their toes at night... Need an outhouse? It's a three minute walk through the darkness. We award the Riklin's ingenuity five stars and hope that they will continue to surprise us! 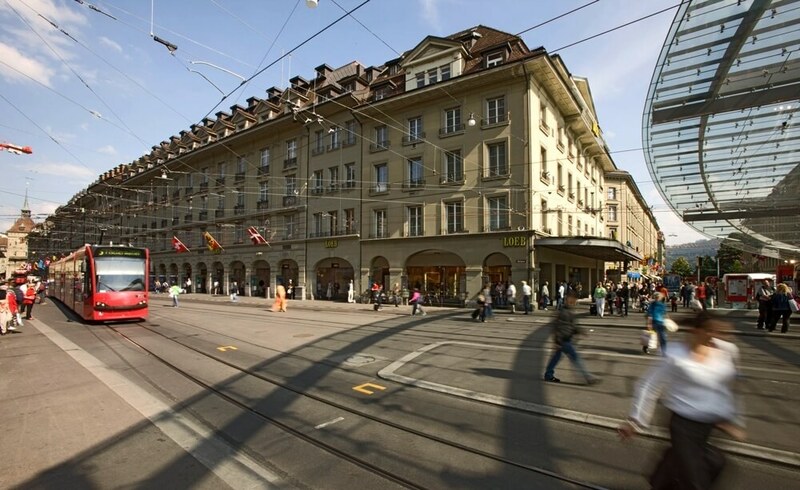 Is Transit-Hotel the Future of Tourism in Switzerland? Does Zurich Need a Fake Dock Crane?